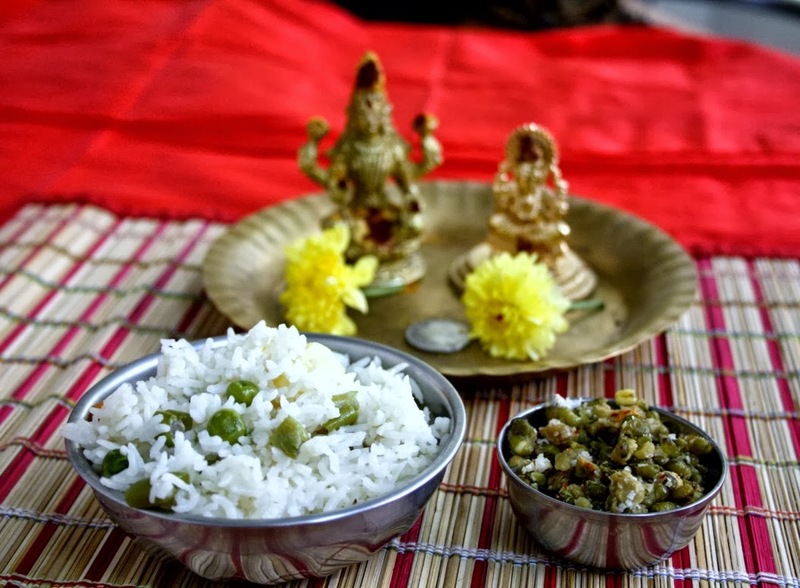 For the day six it was Shakaannam with Whole Moong dal Sundal. The list from where I had referred the neivedyams listed this as one of the prasadams. And Harichandana has posted something very similar. This is supposed to be for friday however we got confused over the days and made it for today itself. I read in another site that this rice is supposed to have nine different vegetables. I limited myself to regular ones and didn’t worry too much about the missing vegetables. I made whole moong dal for sundal and Mixed vegetable kurma as side dish. 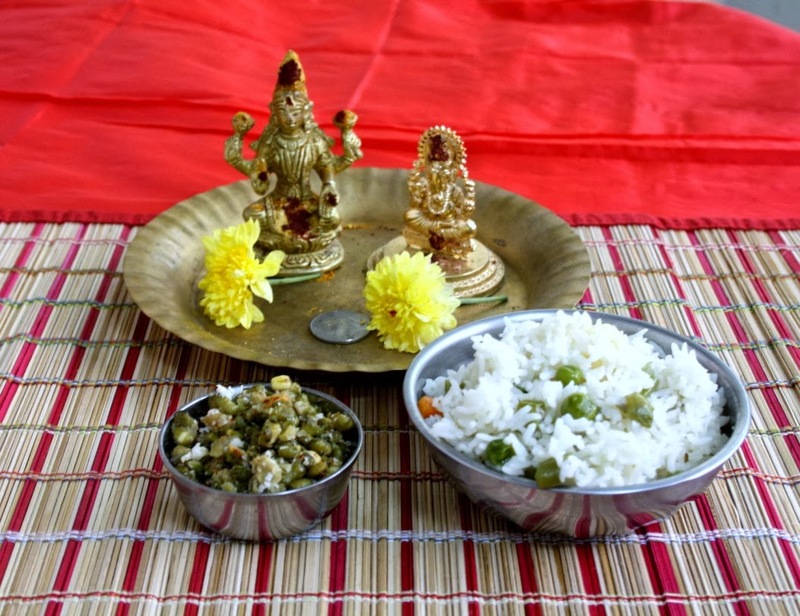 Very simple yet very delicious prasadam. Though I have made Shakaanam, never called it in this way and it was nice seeing the recipe posted for the Navaratri as well. Heat ghee in a pressure cooker. Add the cloves, cardamon and cinnamon and fry for few seconds. Add the vegetables and stir for couple of a minutes. Add drained rice to the pan, mix well. Add add and salt. Cover it with lid and pressure cook for 3 – 4 whistles. Pressure cook the dal for 4 -5 times, till the dal is cooked just right. Now over cooked. In a non stick pan, heat oil. Add hing, chilies, salt and the dal. Once sauteed well, add the grated coconut and mix well.